MARQUETTE — Colony collapse, a disorder in which worker bees disappear from a hive, is on the rise. To promote awareness of this disease and spread education of the outdoors, the first ever Gathering in the North was held Saturday at the Moosewood Nature Center in Marquette. The event featured pop-up markets, live music, massages, meditation, children’s activities and, most importantly, a group who came together for land education and preservation. 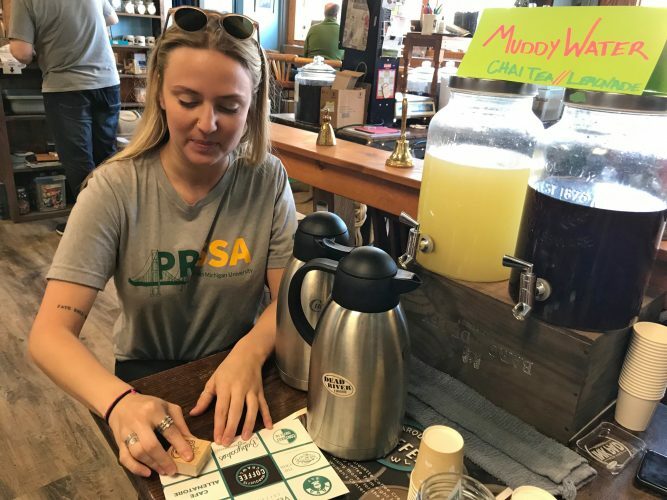 The event was put together by Northern Michigan University’s Center for Native American Studies, the Moosewood Nature Center, the Yellow dog Watershed Preserve and event coordinator Ryan Iacovacci. “The central theme of this event is the bees as our pollinators, because colony collapse is real and toxicity is ubiquitous in our environment, especially with the way agribusiness currently runs,” said Iacovacci. 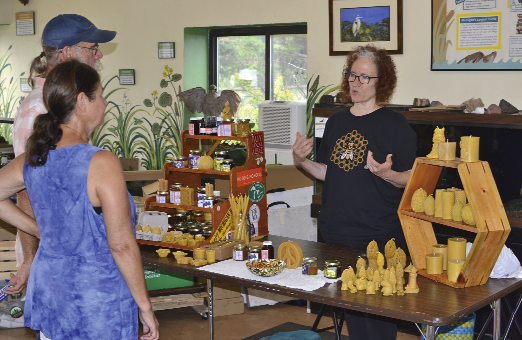 Other events included presentations on Upper Peninsula beekeeping and beeswax candle making, medicinal bee propolis and pollen, growing mushrooms on the cheap, brewing kombucha, blacksmithing and blade sharpening 101, self-massage healing and more. A honeycomb hideout, rock painting, clothespin doll making and other craft workshops were available for children at the event. David Marshall, author of the children’s book “From Bears and Trees to Mushrooms and Bees,” also read from his book, a fantasy story focused on saving the bees that incorporates recent scientific research on the topic. Iacovacci’s idea for this event began when he moved to Marquette three years ago. He saw the abundance of agriculture in Marquette and thought this was the perfect community to begin cultivating a new culture that is respectful of the earth, puts children first, leaves alcohol out of it and overall does things a little differently. He began discussing the idea with the Moosewood center and found that they had been working toward developing a large skill sharing event such as the Gathering in the North for almost a decade, he said. Iacovacci hopes after some reflection on this year’s event with the other coordinators that there will be a second Gathering in the North next summer, perhaps with a different natural educational focus, he added. Trinity Carey can be reached at 906-228-2500, ext. 243. Her email address is photos@miningjournal.net.